Join my Email list and receive a free digital image of The Celtic Goblet of Life. Description: Some Yuletide greeting from the Faery Folk. 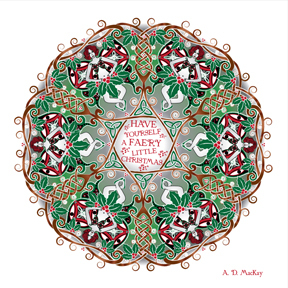 Celtic faeries dance around a holly wreath, singing their version of the popular Christmas carol.